The Luthiers Center has a new address! The studio moved into the ground floor of a new building in the center of Sofia 57 "Bregalnitsa" Str. (see the map). The building is located near the intersection of "Bregalnica" street and "Todor Alexandrov" boulevard - very convenient location, near the Metro station "Opalchenska"(120 m), all buses and trolley buses passing on "Opalchenska" boulevard and all trams passing on "Al. Stamboliiski" boulevard and "Pirotska" street. We hope that our new address will be more easily accessible to all our friends and customers. The Luthiers Centre was opened at the very end of 2010 as part of a project co-financed by the Culture 2007 - 2013 Programme of the European Commission, but since January 2011, it functions as an independently registered non-profit NGO with the main aim of providing a large spectrum of services directed towards luthiers and musicians. 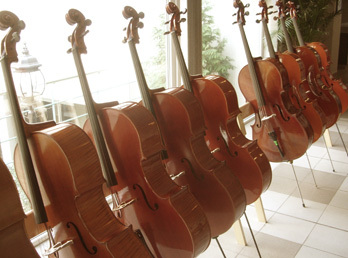 The assistance and information provided by the Luthiers Centre to luthiers is mainly related to bowed and plucked string instruments. 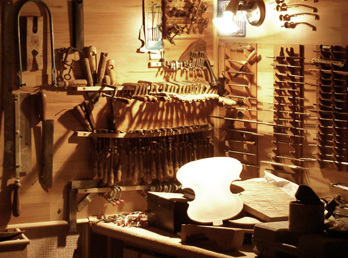 The Luthiers Centre is offers training, active network connections, trade promotions, consulting, repairs and restorations as well as materials, accessories and supplies for luthiers and musicians. 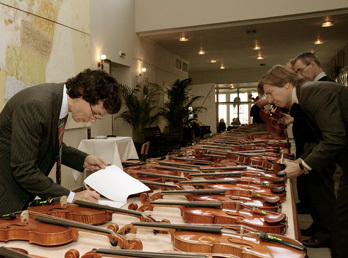 The Luthiers Centre is providing evaluation of string instruments and also maintains throughout its website a wide network of contacts and links to luthiers and musicians in many other countries worldwide. 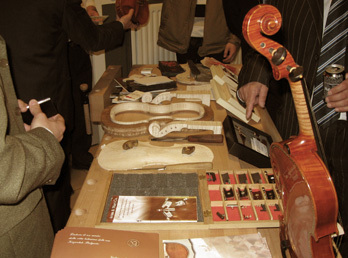 The Luthiers centre provides the link between luthiers and the ones playing the corresponding instruments. 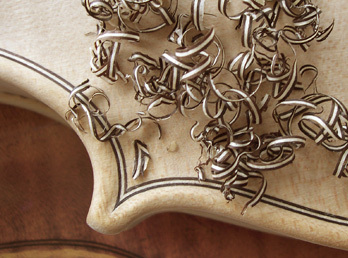 Each year the Luthiers Centre organizes a variety of events aimed at profiling and promoting the art of the luthierie craft. The Centre organizes also specialized custom made seminars, as well as joint research projects together with subject related international organization and Universities. Visitors are welcome to Luthiers Centre which can be found in Sofia, 57 Bregalnitsa Str, where they can consult expert personnel on the subject of their interest and also use the full range of services offered by the Centre. 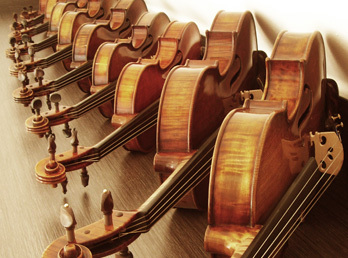 The Luthiers centre works closely with music schools and orchestras in Bulgaria and other countries and aims also to have a certain impact in the culture and tourist activities in this part of Europe.